"Eleanor Bone." Witchvox. Available online. 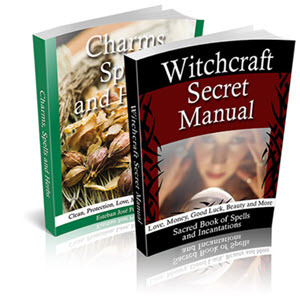 URL: http:// www.witchvox.com/va/dt_va.html?a=usfl&c=passages&i d=4227. Downloaded September 30, 2007. Hutton, Ronald. The Triumph of the Moon: A History of Modern Pagan Witchcraft. Oxford: Oxford University Press, 1999. Bone, Gavin (1964- ) Wiccan and author and companion/partner with Janet Farrar. In his work with Janet and her late husband, sTEWART FARRAR, Gavin Bone has advocated a "progressive" and more shamanic trance Craft based on direct relationship with deities. Bone was born in Portsmouth, Hampshire, England, in 1964. He trained as a registered nurse and studied complementary healing, such as herbal remedies and reflexology. Drawn to MAGIC and the Craft, Bone joined an eclectic ceremonial magic group whose members included Pagans. In 1986 he was initiated into the Seax-Wicca Tradition founded by Raymond Buckland and then was initiated into a Celtic Wiccan coVEN. He studied shamanic techniques and runes. In 1989, Bone became a contact for the PAGAN Federation after attending the Pagan-Link Groby Festival. The same year, he met the Ireland-based Farrars at a Pagan festival in Leicester, England, and struck up a friendship with them. They invited him to come with them on their tour of the United States in 1992. They visited Salem, Massachusetts, to attend a remembrance of the SALEM Witches hysteria. In 1993, Bone moved to Ireland, where he entered a polyamorous marriage with the Farrars and collaborated in their work and writing. He served as webmaster and production manager for their videography work. Stewart suffered a stroke in 1995, and Bone provided care for him. 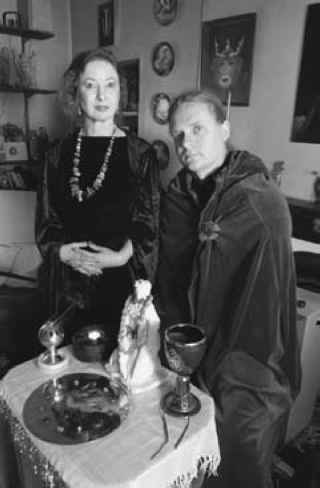 After Stewart's death in 2000, Bone and Janet Farrar continued development of their ideas about the practice of WICCA. They are priest and priestess to Freya as trance goddess, who has a direct relationship with them in daily life, not just in ceremony, as their muse and life guide. 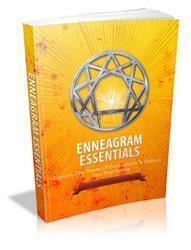 They are eclectic, recognizing different pantheons of deities, and different approaches to worship. According to Bone, Wicca is inherently a shamanic path and is evolving away from the duotheistic and even polytheistic traditions of its early and more structured years. several traditions, among them Strega, Eclectic Eclectic Eleusinian Kuven, The Elusinian Mysteries of the AQUARIAN Tabernacle Church and The Order of Bill the Cat. In 2003, Bone and the Farrars were jointly recognized with the Gerald B. Gardner Lifetime Achievement Award. Bone collaborated with both Stewart and Janet on The Pagan Path: The Wiccan Way of Life (1995), The Healing Craft: Healing Practices for Witches, Pagans and the New Age (1999) and The Complete Dictionary of European Gods and Goddesses (2001). With Janet, he coauthored Progressive Witchcraft: Spirituality, Training and the Mysteries in Modern Wicca (2004). Bonewits, P. E. I. 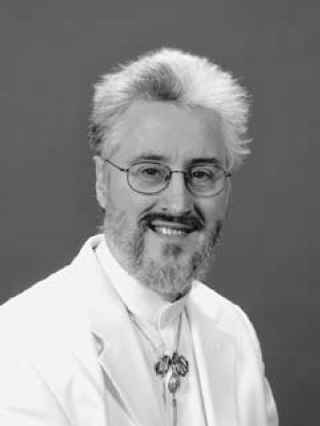 (Isaac) (1949- ) American Pagan, author and scholar, and a leader in contemporary Dru-idry and PAGANISM. Ferndale, a suburb of Detroit. When he was nearly 12, the family moved to San Clemente, California. From his mother, a devout Roman Catholic, Bonewits developed an appreciation for the importance of religion; from his father, a convert to Catholicism from Presbyteri-anism, he acquired skepticism. His first exposure to magic came at age 13, when he met a young Creole woman from New Orleans who practiced "voodoo." She showed him some of her magic, and so accurately divined the future that he was greatly impressed. During his teen years, he read extensively about magic and parapsychology, and was fascinated by the power of the mind. He also read science fiction, which often has strong magical and psychic themes. In his second semester of ninth grade, Bonewits entered a Catholic high school seminary because he wanted to become a priest. He soon realized that he did not want to be a priest in the Catholic faith. He returned to public school and graduated a year early. After spending a year in junior college to get foreign-language credits, he enrolled at the University of California at Berkeley in 1966. At about the same time, he began practicing magic, devising his own rituals by studying the structure of rituals in books, and by observing them in various churches. the Reformed Druids of North America (RDNA) had been born in 1963. Larson interested Bonewits in Druidism, and initiated him into the RDNA. The two established a grove in Berkeley. Bonewits was ordained as a Druid priest in October 1969. The Berkeley grove was shaped as a contemporary Pagan religion; other RDNA groves considered the order a philosophy. During college, Bonewits spent about eight months as a member of the Church of Satan, an adventure which began as a lark. The college campus featured a spot where evangelists of various persuasions would lecture to anyone who would listen. As a joke, Bonewits showed up one day to perform a satirical lecture as a Devil's evangelist. He was so successful that he did the act repeatedly, and soon was approached by a woman who said she represented Anton LaVey, the founder of the Church of Satan. Bonewits attended the church's meetings and improved upon some of their rituals—he was never seduced, as the woman had promised—but dropped out after personality conflicts with LaVey. The membership, he found, was largely middle-class conservatives who were more "right-wing and racist" than satanist. At Berkeley, Bonewits created his own degree program, graduating in 1970 with a bachelor of arts degree in magic—the first person ever to do so at a Western educational institution. He also was the last to do so in the United States. College administrators were so embarrassed over the publicity about the degree that magic, witchcraft and sorcery were banned from the individual group study program. His first book, Real Magic, about magic, ritual and psychic ability, was published in 1971. In 1973, Bonewits met a woman named Rusty. They moved to Minneapolis, where they were married. For a year and a half, Bonewits edited Gnostica, a Pagan journal published by CARL weschcke of Llewellyn Publications, but his scholarly approach was not popular with many of the readers. Bonewits remained in Minneapolis for about another year. He established a Druid grove called the Schismatic Druids of North America, a schism of the RDNA. He also joined with several Jewish Pagan friends and created the Hasidic Druids of North America, the only grove of which existed briefly in St. Louis, where its membership overlapped with that of the Church of ALL worlds. In 1974-75, Bonewits wrote, edited and self-published The Druid Chronicles (Evolved), a compendium of the history, theology, rituals and customs of all the reformed Druid movements, including the ones he invented himself.